Card and label maker software helps you to design various kinds of cards and labels. 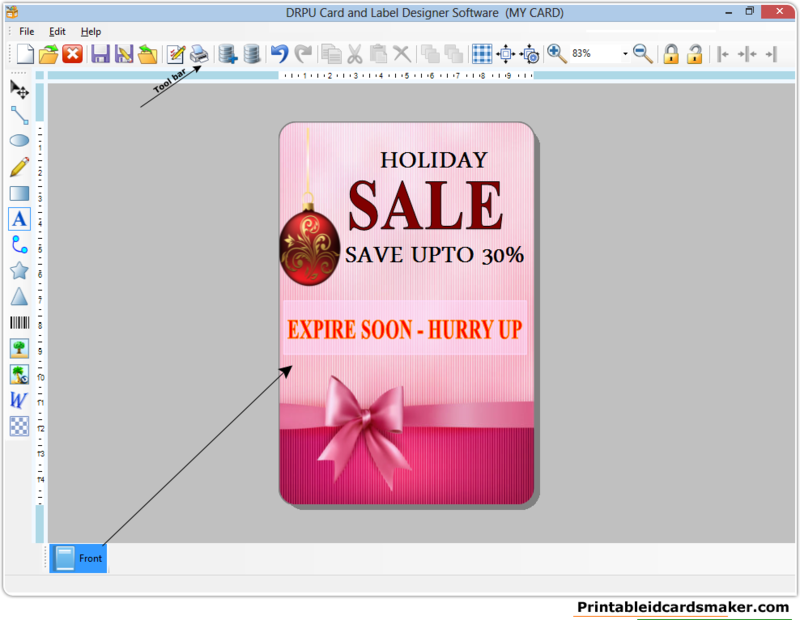 Card maker software provides inbuilt numerous card and label designing tools including Line, Ellipse, Pencil, Rectangle, Text, Barcode, Picture, Arc, Triangle and Star objects to create labels, tags, stickers and cards. Now you can create and print your own style cards, labels and tags using card maker software. ★ Creates different cards and labels: Card creator software designs products labels, price tags, envelope, postcards, birthday cards and new year cards. ★ Designs bulk numbers of cards and labels simultaneously: Label maker software has inbuilt advanced data set series generating feature to create multiple number of cards and labels simultaneously. 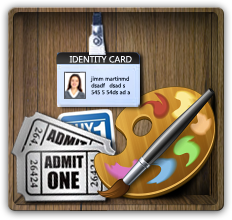 ★ Creates colorful cards, tags and stickers: Card designer software has ability to design colorful ID cards, visiting cards, loyalty cards, prices tags and other labels with advanced color and background settings. ★ Password protected program: Label creator software provides inbuilt advanced password settings to prevent unauthorized software access. ★ Inbuilt flexible printing settings: Card and label maker software uses inbuilt flexible printing settings to print created labels, tags and stickers. ★ Design cards, tags and stickers in various shapes: Card and label designing program provides facility to design cards, stickers, coupons labels in different shapes including rectangle, ellipse and rounded rectangle according to user requirements.